Going mobile. Google projects that mobile devices will overtake PCs as the most common Web-access device by 2013.The ubiquity of smartphones and tablets makes it imperative that Websites be mobile-friendly. As many of these devices either do not support or have trouble playing Flash content (which has become a staple of restaurant, nightclub and bar sites), you would be well-served to optimize your site to take advantage of the rapidly growing number of mobile users who rely on their iPhones and iPads to find where to go for a drink or a bite. Social media. The growth of social media continues. Twitter, Facebook and Google+, alone, boast a combined 1.5 billion users. Moreover, social media sites will become a key component of Search Engine Results Page (SERP) algorithms. If you’re not already using social media as a marketing tool, it’s time, perhaps, to start. It’s often said that the best form of advertising is word of mouth. What social media does is combine the credibility of word of mouth with the reach of mass media. In fact, the social media’s reach far surpasses that of any form of traditional mass media. Given this, it may make sense to hire a social media manager to help promote your store. Electronic cigarettes. Electronic cigarettes are becoming more and more ubiquitous. These electrical devices, which produce a flavored aerosol mist that simulates tobacco smoke, have become popular both as a way of quitting tobacco and as a way for smokers to kinda feed their habit in places where actual smoking is prohibited. 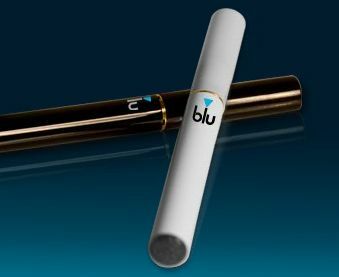 Expect e-cigarettes to become a more common sight in bars and nightclubs in 2012. Also expect them to be sold more widely in drinking establishments. Not only do these devices provide an added revenue stream, they may actually have the added benefit of keeping smokers inside and drinking. Tablets. By the end of 2011, nearly 34 million Americans owned iPads and other tablets. With new, less expensive tablets going on themarket, that number is expected to grow 63% in 2012, and by 2014 it’s predicted that 90 million Americans (or a third of the population) will own a tablet computer. Expect these devices to be adopted more broadly in the hospitality industry—not only as a (POS-integrated) replacement for the wait staff’s order pads, but as enhanced menus (with photos, ingredients, the calorie count of foods, suggested wine pairings etc.). 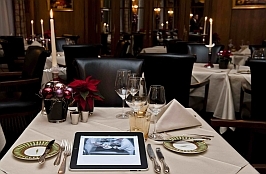 Many wine bars and restaurants are already using tablets as a replacement to traditional wine menus. Tablets also provide an opportunity to provide cheap entertainment, in the form of interactive gameplay, to bar patrons. DMX lighting. 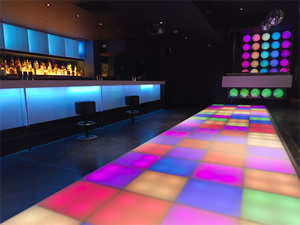 LED’s and new, cheaper and simpler-to-use DMX lighting software will allow owners of restaurants, lounge bars and nightclubs to modify the look and feel of their stores with greater ease, without having to overhaul the entire architecture. Whether as means of creating an entirely fresh look or as a way of changing mood lighting to match an event, a season, or a time of day, you’ll begin to see DMX lighting used more widely to create a fresh look and feel. Herb-infused spirits. Whether they be whiskies, vodkas or gins are gaining herb-infused drinks are gaining in popularity. Expect gin, especially, to continue to make a splash as both large producers such as Bombay and a slew of new micro distilleries continue infuse this old stalwart with fresh and interesting botanicals. Flavored tonics. Tonic water is a simplest mixer there is, and an obvious staple to anyone serving drinks. A variety of new tonics are hitting the market, however, which can transform the most basic of mixers into something more sublime. 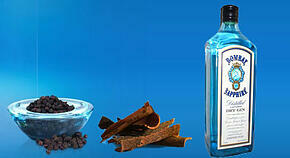 Look for new tonics to elevate simple drinks like gin and tonic into something for more interesting and complex. Cask-aged cocktails. Drink mixes aged in wooden barrels for added nuance continue to gain popularity in major urban centers from New York to San Francisco. Solid summer cocktails. Remember the Jello shot? Expect to see it re-emerge, as mixologists exercise their creativity to concoct artistically-layered versions of an old party favorite. With the use of lecithins and other ingredients—which can alter the consistency and texture of fluids--becoming more widespread, expect solid-form cocktails to gain traction. You can also expect to see more and more cocktails turned into sorbets and popsicles when summer rolls around. Super-premium beverages. Spirit enthusiasts and wine aficionados seem prepared to pay top dollar for a small taste of luxury potables. While they may not be willing to spend $300-$1,000 for a bottle of top-top-shelf cognac or premier-cru, more and more enthusiasts are showing a willingness to pay a premium for an ounce or two. Smoked spirits. Flash smoking is making a move from the chef’s kitchen to the bar top. Still a relatively new phenomenon, bar-top smokers—used to infuse spirits with, you guessed it, a mild smokiness—are beginning to be found in a number of popular bars in most major cities. Combination drinks. More and more bar owners are discovering the benefits of marrying two drinks and selling them together in order to boost sales. Whether it’s the classic shot with a beer chaser, or a more inspired combination of two cocktails with complementing flavors, double-hitters promise to become a hit among bar patrons. classics. It may be a good time to make room on the menu for the old standards—Daiquiris, the Manhattan, the Sidecar…. Skinny drinks. Expect cocktail menus to offer more and more low-cal beverages—whether lighter versions of standard fare or entirely new concoctions. Popular among the ladies and health-conscious patrons wanting to limit the number of “empty calories” they consume, skinny cocktails are a good way for drinking establishments to cater to this growing segment of their clientele. Vintage beers. A variety of aged, vintage beers are becoming available. The Modern in New York for instance offers a 1999 J.W. Lees Harvest Ale to drinkers wanting a taste of the past. Meanwhile many microbreweries are offering a variety of interesting, higher-alcohol beers meant mellow with age. Lower-alcohol beers. While higher-alcohol beers continue to be popular, expect a rise in demand for flavorful, lower alcohol beers. Rather than nurse a pint of high-gravity, high-alcohol beer, many patrons will opt instead for high-flavor, lower-alcohol beers that they can drink in greater in quantities. Patrons’ taste for quality, low-alcohol beers is good news for bar owners, as they present an opportunity for increased sales. Seasonal and flavored beers. 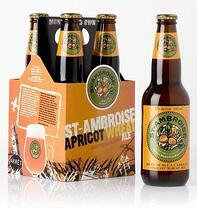 While nothing new, seasonal and/or flavored beers are starting to gain traction. Local Wines.The movement towards locally-grown wines—from a variety of regions, including New York, Michigan, Texas, Virginia, Ohio, Ontario—c ontinues and is expected to accelerate in 2012. Lower Alcohol Content. The popularity of big, fruit-bomb wines with high alcohol content is waning, while more classic –style wines—e eegant and more structurally balanced, with alcohol levels below 13% or 14%--are beginning to gain favor. Burgundy Wines. With Bordeaux wines commanding huge prices, consumers are more and more turning their attention to the more affordable Burgundy region. As reason wine auctions have shown have shown Burgundy wines are rising stars. Organic Wines. The movement towards organic products has extended to the wine world, where more and more wine makers are beginning to explore natural wine-making techniques. Expect consumers to start embracing these “sustainable” wines in coming years. Value. After several years of economic recession, consumers have acquired a taste for value wines. They are seeking bang for the buck—not cheap inferior wines, but good, well-balanced, flavorful wines at an affordable price. With many of these wines coming from Spain and South America, expect Spanish, Chilean and Argentinian wines to continue to grow in popularity. Alternatives to Champagne. In keeping with consumers’ growing thirst for value, high-quality sparkling wines from regions other than Champagne are gaining popularity. Sparkling wines from Germany, Austria, Portugal, the U.S. and Italy are expected to gain ground. 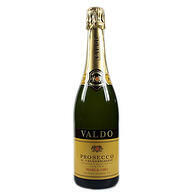 Consumers are discovering that a nice, quality Prosecco can be just as enjoyable as a Champagne, often at a fraction of the price. Coconut water. Already popular in cities like New York and L.A., coconut water will continue to gain popularity. With strong celebrity backing, and with major investments from the likes of Coca Cola, we should begin to see coconut water available everywhere, including the nation’s bars and nightclubs. Subscribe to our newsletter to receive industry news, management tips and special offers. © 2018 SCANNABAR INC. All Right Reserved.